While state capture architects have profited from state-owned enterprises, South Africa might have missed the quiet ruin of another key organ of state. The South African Social Security Agency (Sassa), which plays the critical function of distributing social grants, has all the hallmarks of the destructive state capture project. The industrial-scale corruption and waste of state resources in the Jacob Zuma years have confirmed the worst fears: that state organs have been captured and the 1994 promise of a state free of corruption has been betrayed. As you may already know, the mechanics of the project look like this: establish an infrastructure of enriching a politically connected few, appoint compromised individuals to key state positions and abuse state resources under the guise of service delivery. A standing committee on public accounts (Scopa) hearing in parliament this week revealed that Sassa may as well join the ranks of tainted institutions Eskom, Transnet, South African Airways and the Passenger Rail Agency of South Africa. “A failed entity” and “a personal piggy bank for officials” is how MPs described it, as the agency revealed irregular, fruitless and wasteful expenditure of R1.4bn for the 2016/2017 financial year. The scale of plunder was under the regime of incompetent former social development minister Bathabile Dlamini and former Sassa acting CEO Pearl Bhengu. A breakdown of the wasteful expenditure beggars belief. Bhengu personally signed off contracts — in a day — worth R16m for four educational events in KwaZulu-Natal in December 2017 to “educate grant beneficiaries about the new grant system”. Only three of the educational events eventually took place. Bhengu is said to have pushed through the contracts without verifying if any of the costs for the education events were accurate. The costs for the educational events were all below R500 000, which would require Bhengu to comply with standard tender and procurement procedures. This means that she failed to comply with the Public Finance Management Amendment Act. MPs suspect that the costs may have been inflated. Independent Online reported that one of Sassa’s suppliers, Sweet Basil Promotions, benefited from an R11m contract despite the company’s owner being investigated for allegedly swindling the agency of R400m. The agency is a repeat offender. 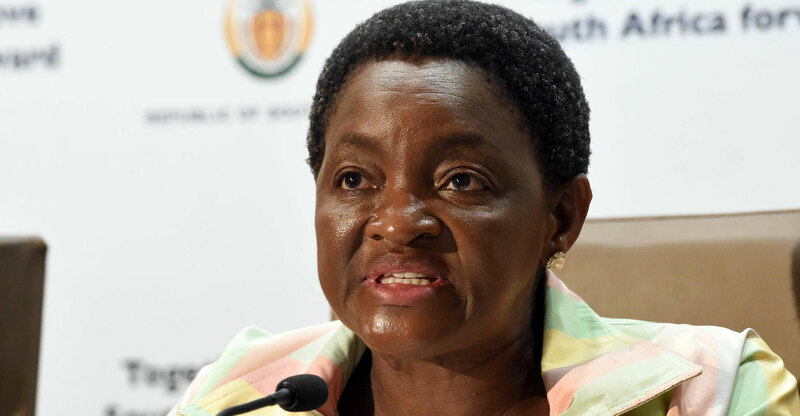 For the 2015/2016 financial year, the R3.5m spent on security services for Dlamini and the family of her spokeswoman Lumka Oliphant was flagged as irregular. It blew R42m on the workstreams — a parallel function that was established in July 2016 and comprised of Dlamini’s handpicked advisers to investigate Sassa’s capacity to take over social grant payments from Cash Paymaster Services. The workstreams were led by Dlamini’s friend Zodwa Mvulane and were cancelled in July 2017 after national treasury deemed them as irregular expenditure. Bhengu is no longer the acting Sassa CEO but remains with the agency in KwaZulu-Natal, while Dlamini was shifted to the women’s ministry in the presidency. Their exits don’t absolve them from accountability as both have been called to appear before Scopa for their affinity for splashing taxpayers’ money. Like compromised state-owned companies, Sassa has become a toxic network with Dlamini’s friends (Bhengu and Mvulane) appointed to key positions. Mismanagement of the agency also compromised service delivery. Sassa can no longer run itself as it has to be supervised by the constitutional court to ensure that it functions properly and avoids a social grants crisis. Much is at stake if grant payments to 10.7m beneficiaries are delayed; South Africa would descend into social unrest, and the livelihoods of recipients, who are already facing the brunt of government’s service delivery failures, would be in jeopardy. A clean-up is underway at Sassa, with new social development minister Susan Shabangu promising to “deal with individuals” who engineered the mess. It will be foolhardy of us to expect quick fixes as individuals that did the behind-the-scenes work for Dlamini and Bhengu are still at Sassa. In politics and the business of governing, words are hollow, but action speaks volumes.